Hey! My name is Theresa Bailey and I’m from Augusta, Georgia. I’m a student in the Department of Global Health here at Rollins, with a concentration in Community Health and Development. I’m also pursuing the Socio-contextual Determinants of Health Certificate. I graduated from Yale University in 2014 with a Bachelor of Arts degree in Spanish. After graduation I moved to Mexico to carry out independent research on teenage pregnancy in rural communities. After a year there, I moved to Nicaragua where I lived for two years, working for the health program of a small non-profit. Through the REAL program at Rollins, I have been able to pursue my interests in sexual and reproductive health and adolescence. I work as a graduate research assistant for Kelli Hall in the BSHE department, whose work focuses on stress and the reproductive health of young women in the southeastern United States. I have also become very involved with student organizations, like the Association of Black Public Health Students. Rollins provides so many opportunities for students to deepen their skillsets while still being exposed to many different opportunities. Choosing this program was the best decision for me I cannot wait share more about my journey with all of you! Hello! My name is Jacob Clemente and I am a second-year Global Health student with a concentration in Community Health Development. I was born in Manila, Philippines and moved to McKinney, Texas when I was 11. I completed my undergraduate degree in public health with a concentration in health policy and management from the University of Texas. My public health interests are in health policy and health communication, with hopes of working for an international nongovernmental organization. Rollins has provided me with so much in a short time; it has been truly enriching and enjoyable. In my first year, I served as an intern for the International Association of National Public Health Institutes. For my second year, I am working for the National Public Health Institutes Program at CDC. Over the summer, I completed my practicum with IRC WASH, a think-and-do tank that focuses on the water, sanitation, and hygiene (WASH) sector in The Hague, Netherlands. I cannot wait to meet you and share my love of this school with you! Hello! My name is Cori Dennison and I am a second year Global Health student with a focus in Infectious Diseases. I was born and raised in Louisville, Kentucky and graduated from the University of Louisville with a Bachelor’s in Biological Anthropology with a minor in Biology. During my undergraduate degree I worked in a lab studying experimental immunology related to leprosy and plague in Medieval Europe. I have many interests, but I am passionate in learning about the biology and immunology of infectious diseases as well as the epidemiology surrounding them. Currently I am working as a REAL (Rollins Earn and Learn) Cancer Control Research Assistant for Emory University studying the HPV (Human papillomavirus) vaccine within the state of Georgia. I came to Rollins because of the multitude of opportunities that are available to students that are pursuing public health as well as the incredibly friendly and personable faculty and staff on campus. The community here at Rollins has been so welcoming and I could not be happier to be a part of this program! Even though I am still fairly new to the area, I have loved my experiences at Rollins and living in Atlanta. Feel free to reach out to me if you have any questions about the program or life in Atlanta! Hey hey! My name is Michelle and I am a first-year Global Health student with a concentration in Community Health and Development. I am originally from Oakland, California and a die-hard Golden State Warriors fan. GO DUBS! I graduated in 2017 with my Bachelor’s in Community Health Sciences. Prior to Rollins, I worked full time as a Research Associate on a HIV surveillance project at the health department in San Francisco. Currently, I am working as a Graduate Research Assistant with the Rwanda Zambia HIV Research Group here at Emory. I am also one of the Global Health Reps for RSGA. My experience here at Rollins has been so amazing and I have built so many relationships with faculty and my peers. Everyone here is so supportive and is really invested in the success of students. I love everything about Rollins and Atlanta, and I hope to share this love with you too! Hey there! I’m Shanaika Grandoit, a second-year Global Health Student in the Community Health Development concentration at Rollins. I was born in Boston Massachusetts and raised in Melbourne, Florida. I graduated from the University of South Florida with my Bachelors’ in Psychology. During the time leading to my first semester at Rollins, I worked with victims of human trafficking as a direct care advocate. It was during this time (along with my other experiences as an undergraduate student) that I realized I would like to attain an MPH in order to continue advocating for women and children’s health rights. Rollins was the perfect choice for me as the people I’m surrounded by continue to motivate and mentor me in this process of attaining my goals. From the moment I got here, everyone has shown genuine interest in my overall success and wellbeing. Atlanta is truly beautiful and a hub of various cultures and diversity, I hope you all find the city and Emory to be as amazing as I do! Hello! My name is Melissa Holmes and I am a first-year Global Health Student with a concentration in Community Health Development. I am also pursuing the Mental Health Certificate. I am originally from South Florida but I graduated from THE University of North Carolina at Chapel Hill in May 2018 with a Bachelors in Global Studies and a minor in Neuroscience. My public health passions are sexual health and mental health in minority and international communities. In my first year at Rollins I have been afforded many opportunities such as a REAL position with Emory School of Medicine, Department of Infectious disease and Rollins Ambassadors. My love for this school and the city of Atlanta grow everyday and I am excited to share with you all exactly why that is! My name is Taylor Landay and I am a Pittsburgh native who graduated from the University of Maryland in 2015 with a B.S. in Behavioral and Community Health and a certificate in Globalization. Post-college, I worked in D.C. doing cardiovascular research. Feeling the need to put my education into practice, I joined the Jewish Service Corps and served at the Agahozo-Shalom Youth Village in Rwanda for two years as a public health fellow. I am now a first-year Global Health MPH student at the Rollins School of Public Health. I also work part time at the CDC in the Birth Defects Surveillance Unit. In my free-time you can catch me in hot yoga or trying out all the vegan spots Atlanta has to offer. Hi there! My name is Anjum Mandani and I am a first-year in the Global Health department. I’m originally from India, but grew up in Tampa, Florida. I attended the University of Florida for undergraduate studies in biology and anthropology, and after graduating in 2015 completed an internship at a hospital in Mombasa, Kenya and did health related research based in Ethiopia. I am pursuing an MPH at Emory with a concentration in Community Health Development in hopes of forging a career and life path at the intersections of women’s health, medicine, and anthropology in the developmental context. When I’m not studying or on campus, you can find me cooking with friends (and eating), hiking, listening to and playing music, and spending time with family! Rollins is a wonderful community to be a part of, and it’s refreshing to be around peers and faculty that are so passionate about what they do, and eager to help you achieve your goals. I hope you join our community and find as much fulfillment as I have here! Hi Everyone! My name is Ashley and I’m a second year Global Health student in the Community Health and Development concentration. While I have so much pride for my home state of Michigan, I completed my undergraduate degree in Ohio in 2017 and have loved being in Atlanta and at Rollins this past year. I work as a Teaching Assistant for the Department of Global Health and as a Graduate Research Assistant with the Interfaith Health Program, and you can often find me attending special lectures about Religion and Health in my (limited) free time. I can’t wait to meet you and hope that you’ll also come to love everything that Rollins and Atlanta have to offer! Hi! My name is Katherine and I am a second year in the Global Health department. I’m from Northern Virginia and graduated from the University of Virginia in 2017 with a degree in Anthropology and a minor in Bioethics. I have a concentration in Community Health Development and hope to work on improving health equity by addressing social determinants of health here and abroad. I spent my summer doing research in South Africa and I currently work at a free clinic and homeless shelter through the REAL program. I love my job and I’m grateful to Rollins for these opportunities! Rollins is a beautiful school and the students, faculty, and staff are very welcoming. Atlanta has so much to offer like hikes nearby, good sports, and a plethora great restaurants to explore. I hope you join our community and can’t wait to meet you! Hi! My name is Kate and I am a first-year Global Health student with a concentration in Community Health and Development and I am also pursuing a certificate in Humanitarian Emergencies. I attended Purdue University where I majored in Sociology and minored in Russian. After graduating I lived in St Petersburg, Russia where I completed a graduate certificate in Business Russian and worked at an NGO development center. When I returned to the States I spent several years working in emergency preparedness and disaster response with various agencies, such as my county health department and the Red Cross. I then spent two years in the Republic of Georgia as an Individual and Organizational Development Volunteer with the Peace Corps. I also served as a Peace Corps Response Volunteer in the Philippines for seven months, working on disaster response and recovery. Here at Rollins I am working as a REAL communications assistant for the Institute of Developing Nations and am involved in Outdoor Emory and the Humanitarian Emergencies Research Team (HERT). 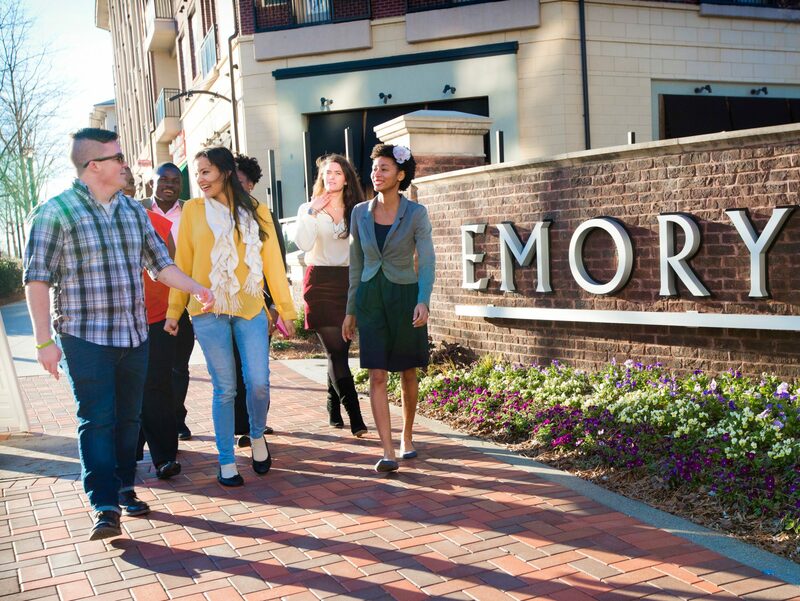 I can’t wait to meet you and share everything that Emory and Atlanta have to offer! Hi there! My name is Meron Siira and I am a first-year student Global Health Student with a concentration in sexual & reproductive health and populations studies. I was born in North Carolina, but raised in Virginia which I still call home. I graduated from the University of Virginia in 2018 with a double major in History and Foreign Affairs and a minor in Bioethics. During my undergraduate experience, I traveled to Accra, Ghana where I worked at a private hospital in the maternity ward which was a major influencer on my decision to pursue a Masters in Public Health at Rollins. Some of my public health interests outside of sexual and reproductive health are medical ethics, healthcare policy, disaster preparedness, and humanitarian emergency settings. Here at Rollins, I am a member of the Humanitarian Emergencies Research Team (HERT) and I also work part-time as a medical scribe at Emory Midtown Hospital. I absolutely love Atlanta and I always make an effort to explore new restaurants, neighborhoods, and breweries. I am so grateful for the amazing opportunity to learn here in Atlanta and at Rollins! My name is Alexandra Wickson and I’m a second year Global Health student concentrating in infectious disease. I grew up about 3 miles down the road from Emory and graduated from the University of Georgia in 2016 with a degree in Fisheries and Wildlife. After graduating, I spent one year working at the Centers for Disease Control and Prevention in a lab doing research on Rocky Mountain spotted fever in ticks. Now I’m pursuing my MPH at Rollins and focusing on zoonotic diseases and emergency preparedness. On the weekends, you can find me rock climbing, hiking, or banding birds for research. The only bad thing I could say about Rollins is that two years isn’t enough to get involved in all the awesome opportunities we have. I can’t wait to show you why Rollins and Atlanta are so wonderful!